The Real People of Boardwalk Empire: Part 3 – Henry Earl J. “Hymie” Weiss to Santo Trafficante Sr. 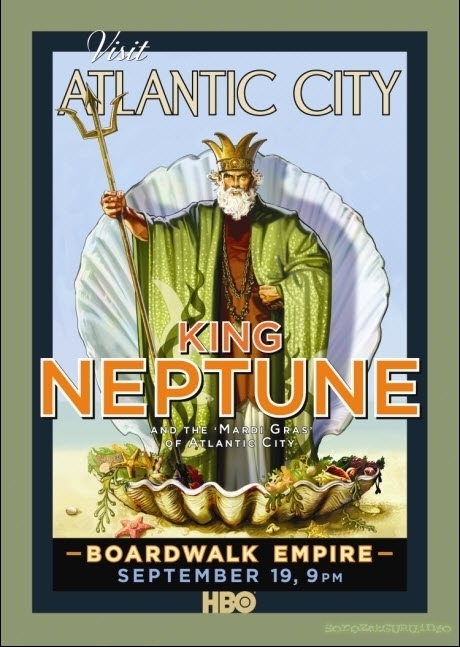 Though once seen as the Las Vegas of the East Coast before Vegas, Atlantic City, New Jersey was also known for its beaches as well as King Neptune which is a cultural icon of the area. Of course, as someone well versed in Greek mythology, I just known him by Poseidon. Still, he was featured in an episode of Boardwalk Empire when the whiskey swept ashore but he ended up having to cut his speech short and heading to the waters to get some. Still, if Atlantic City is hurting because of other states legalizing gambling, it can sure benefit from its beaches. Nevertheless, in this selection, we’ll look at famous gangsters like Hymie Weiss, Mickey Duffy, the Lanzetta brothers, and Santo Trafficante Sr. We’ll also get to know public officials like New Jersey politician Walter E. Edge, Harding era aide who killed himself Jesse Smith, and Jersey City Mayor and Democratic political boss Frank Hague. We’ll get to boxer and heavyweight champion sensation Jack Dempsey and renown rum runner Bill McCoy. Finally, we’ll meet some entertainers who may have a minor role but were major figures like actress and singer Edith Day, African American blues and jazz singer the Queen of Blues Mamie Smith, the musical comedic Sophie Tucker, and the magician and escape artist Theodore Hardeen best known as Harry Houdini’s younger brother. So without further adieu, let me introduce to you some real historical figures from Emmy winning HBO series Boardwalk Empire. Not a bad looking guy here despite having the nickname of “Hymie.” Still, was said to be no guy to mess with since he shot his own brother, threatened photographers, and chased after US marshals as well as sued the police over stolen shirts. Won’t be North Side Gang leader for long though. Known in Life as: American mob boss who became leader of the North Side Gang and a bitter rival of Al Capone. Similarities: Well, he’s an associate and close friend to Dean O’Banion (they knew each other as kids). Also, would take over the North Side Gang after O’Banion’s death. Differences: Born in Poland and always carried a rosary and Bible with him to remind everyone he was Catholic despite the Jewish sounding name. Brother said he once saw him in 20 years “when he shot me.” When photographers tried to take his picture, he’d glare at them and say in a low voice, “You take a picture of me and I’ll kill you.” Once chased away a US marshal at gun point who came to arrest a friend for a Mann Act violation at a party he attended. After the marshal returned with reinforcements, arrested the friend, and confiscated a bunch of booze and weapons, Weiss would file a lawsuit to recover some silk shirts and socks he claimed the marshals had stolen. It came to nothing. Ultimate Fate: Unfortunately, he wasn’t head of the North Side Gang for long. Was killed at O’Banion’s old flower shop in 1926 by two gunmen wielding submachine guns. He was 28. Does Mickey Duffy always that glum or did he just not like getting his picture taken? Still, didn’t have as much as Mickey Doyle does on Boardwalk Empire. 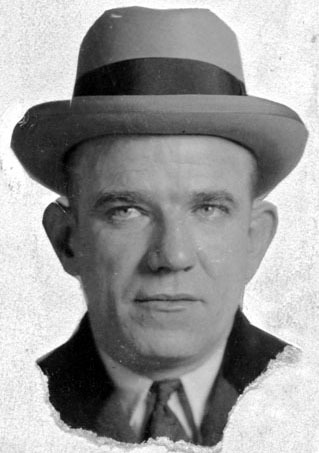 Known in Life as: Polish American gangster and rival Max “Boo Hoo” Huff during Prohibition. Was one of the most powerful beer bootleggers in Philadelphia. Character or Inspiration? Inspiration for Mickey Doyle. Similarities: Well, both were born Polish with the name Cusick (or Kuzik) yet changed to Irish sounding names (but while Duffy did it to fit in with Irish gangs in Philly and married an Irish girl, Doyle just thought the name sounded better). Differences: Was a criminal from the time he was a child and had served time in prison in 1919 for assault and battery with intent to kill for 3 years. Got into organized crime and smuggling during Prohibition. Was one of the most dominant bootleggers in the Delaware Valley in the early 1920s with breweries in Philadelphia, Camden, and South Jersey. Despite being engaged in fights with his rivals, he owned several clubs and ran bootlegging numbers at the old Ritz-Carlton hotel. Was shot 3 times with a Thompson submachine gun and survived. Wasn’t as much of an idiot as Doyle nor as lucky either. Ultimate Fate: Shot to death by unknown assailants at Atlantic City’s Ambassador Hotel in 1931. He was 31. The murder remains unsolved to this day. Thousands try to come to his funeral but were blocked by police. 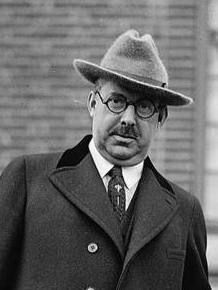 Despite how he’s depicted on Boardwalk Empire, Walter Edge wasn’t an old man in the early 1920s and actually wore glasses. And no, he didn’t have a construction business, he was a media guy. Known in Life as: New Jersey US Senator from 1921-1929 as well as governor from 1917-1919 and 1944-1947. Also served as US Ambassador to France from 1929-1933. Similarities: Campaign manager’s name was Nucky whose relationship with him would soon sour (in real life they openly broke in 1928 though). Also was on a possible shortlist to be Warren Harding’s VP (though he lost out due to a Republican Party leader holding a grudge against him because Edge wouldn’t appoint his guy to be county prosecutor). Differences: Wore glasses and was never in the construction business but in media and publishing. Was only 47 in 1920. Education was in a 2 room school house and went only as far as 8th grade. Started a weekly newspaper devoted to social news when he was 10 which had a circulation of 100. Owned his own advertising business in Atlantic City when he was 17 which became a multi-million dollar agency with offices in numerous US and European cities. Founded two newspapers and bought another. Helped get worker’s compensation in New Jersey. As governor obtained legislation consolidating state boards, improving the civil service, imposing a franchise tax on public utilities, allowing greater home rule for cities, reforming corporation law, and improving state institutions, especially the prisons. Also reorganized the state road department and authorized a few bridge constructions. Was openly anti-Prohibition. Married twice and fathered 4 kids. Ultimate Fate: Edge would go on to be Ambassador to France as well serve another term as governor in the 1940s. His second term as governor would be marked with numerous battles against Frank Hague. He would also restructure the civil service system, incorporate an anti-discrimination agency into the education department, and create a department of economic development. Would retire from politics for good in 1947 but would spend his later years as an elder statesman of New Jersey’s Republican Party. Owned the home of Richard Stockton for a time. Died of natural causes in 1956 at 82. I know he’s supposed to be known for being found mysteriously shot in his green house on K Street, yet I can’t help but say that Jesse Smith looked like a muppet. Seriously, he reminds me of the disgruntled customer at Grover’s diner but in 1920s clothes. Known in Life as: Member of Warren G. Harding’s Ohio Gang as well as friend and gofer of Harry Daugherty. Similarities: Well, he’s an aide to Daugherty and wielded considerable influence in the Justice Department. His activities were said to make him become an embarrassment to Daugherty and the Harding administration. Was found dead with a gunshot wound in his home and a pistol by his side. Differences: Though fat, he actually wore Harry Potter glasses and had a bit of a Hitler mustache. Was divorced and it’s only alleged that he sold liquor to bootleggers at his little green house on K Street. 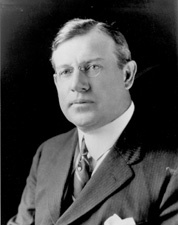 It’s said that Harding wanted Smith out of Washington before he went to Alaska while his administration was engulfed in the Teapot Dome scandal. Ultimate Fate: Found dead at his K Street home with a gunshot wound and a pistol by his side. He was 52. Death was ruled a suicide though many authors who write about the Teapot Dome scandal and the Harding administration say he as murdered. 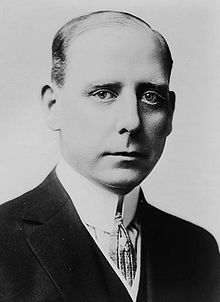 Still, Smith’s well-timed death through gunshot wound is was during the worst of the Harding administration scandals of 1923 and the reason why he’s best remembered. Well, he sure looks like he could be Houdini’s brother. Yet, Hardeen also had a good bit of talent as a magician and escape artist, tool. Also founded a union for magicians as well. 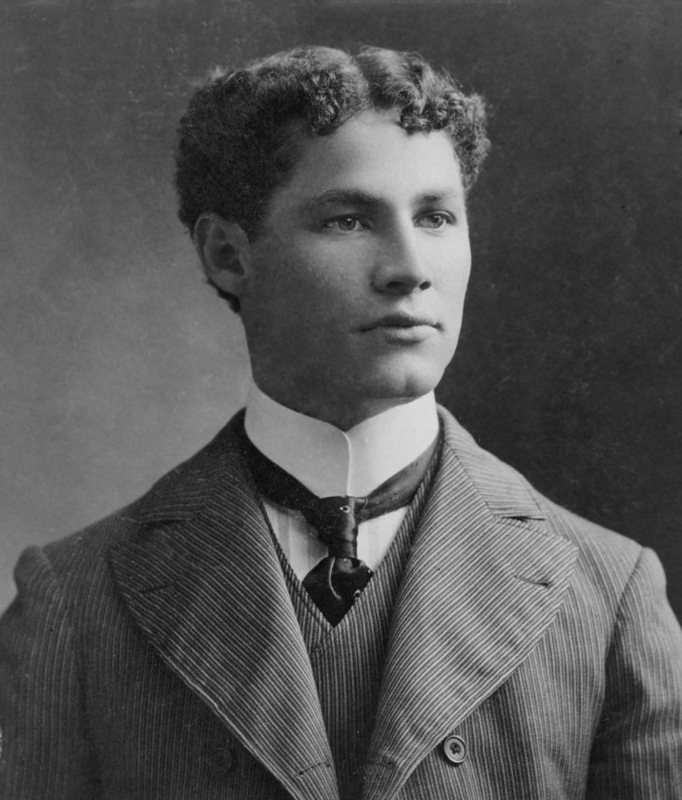 Known in Life as: Magician and escape artist who was the younger brother of Harry Houdini. Founder of the Magician’s Guild and first magician to escape from a submerged straitjacket in full view of the audience, rather than behind a curtain. Similarities: Well, when his brother was alive, he was the guy you got when you couldn’t get Houdini. Differences: Born in Hungary. While he did study under his brother, he’s also said to have considerable talent of his own. He did many of his brother’s routines after the former’s death in 1926. Entertained the troops during World War II. Ultimate Fate: Though he planned to write a book about his brother, he died from surgical complications in 1945 at 69. 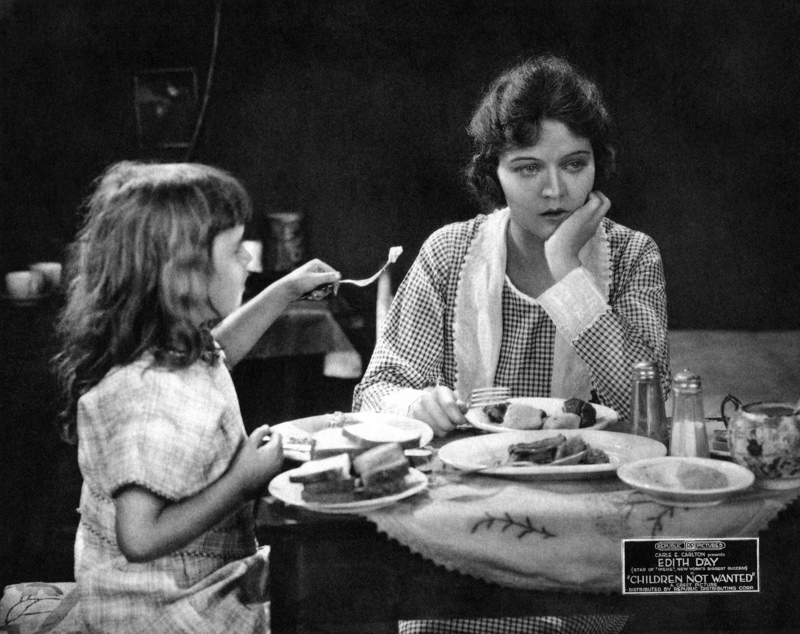 Edith Day in a film by Republic Pictures called Children Not Wanted. I suppose this is a comedy, right? Still, she was more of a musical gal if you know what I mean. Known in Life as: Actress and singer best known for her roles in Edwardian musical comedies and operettas, first on Broadway and then on London’s West End. Character or Inspiration? She’s a character on the show. Differences: Was born in Minnesota. Married 3 times and saw her only son die in WWII. Best known for the title role of Irene. Was part of the 1928 cast of Show Boat in which she did 350 performances. Has a cocktail named after her. Ultimate Fate: Died in London in 1971 at 75. 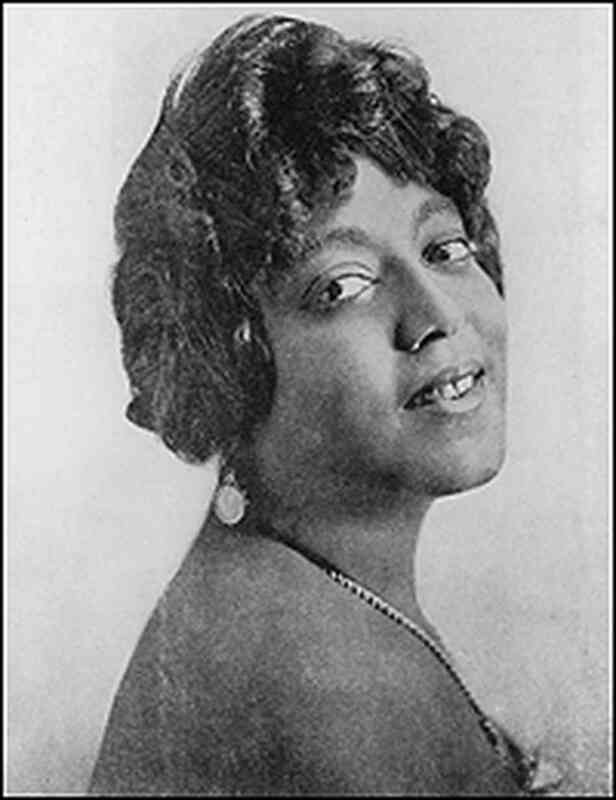 Mamie Smith was one of the first female African American singers to work in a recording studio. She was also called “Queen of the Blues” and ushered the careers of the female singers. Apparently Niki Minaj and Beyonce probably don’t know who she was despite owing their careers to her. Known in Life as: African American Vaudeville singer, dancer, pianist, and actress who appeared in several films late in her career. Performed in a number of styles including jazz and blues. Was the first African American artist to make vocal blues recordings in 1920. Differences: Born in Cincinnati. Was a successful blues artist as well as helped the recording industry see African Americans as a great market since they bought most of her records. Helped usher careers for other female blues artists like Bessie Smith and Billie Holiday as well as opened the music industry for other African Americans in other genres. Once billed, “Queen of the Blues.” Also performed on radio. Married to movie producer Jack Goldberg. Ultimate Fate: Died in New York in 1946 at 63. 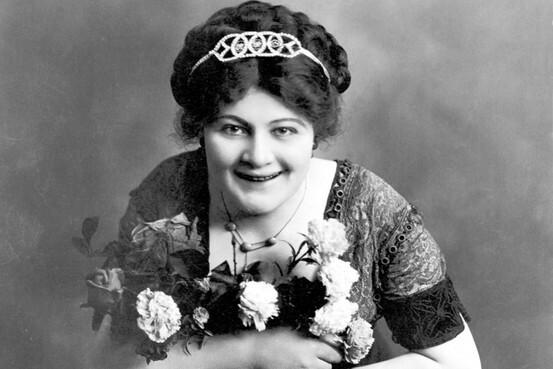 Despite being overweight, Sophie Tucker would enjoy a long career in show business entertaining generations around the world. Apparently comical risque songs never seem to go out of style. Still, you can’t help but be creeped out seeing her holding flowers in this picture. Differences: Born in Russia. Married 3 times and had at least one son. Began singing at her parents’ Connecticut restaurant for tips. Before taking orders she, “would stand up in the narrow space by the door and sing with all the drama I could put into it. At the end of the last chorus, between me and the onions there wasn’t a dry eye in the place.” Would continue to sing at cafes and beer gardens until she made her first Vaudeville appearance in 1907 but in blackface. When she lost her makeup, she just performed without it, she stunned the crowd by saying, “You all can see I’m a white girl. Well, I’ll tell you something more: I’m not Southern. I’m a Jewish girl and I just learned this Southern accent doing a blackface act for two years. And now, Mr. Leader, please play my song.” Though made fun of herself for being overweight, she didn’t see anything wrong with being chunky. Performed with the Ziegfield Follies as well as for King George V. Elected present of the American Federation of Actors in 1938. Had her own radio show and made numerous guest appearances in radio and television including The Ed Sullivan Show and The Tonight Show. Was a punchline to a Beatles joke by Paul McCartney. Ultimate Fate: Continued to perform for the rest of her life until her death from a lung ailment and kidney failure in 1966 at the age of 79. Still, she influenced a lot of female performers including May West, Joan Rivers, Roseanne Barr, Carol Channing, Ethel Merman, “Mama” Cass Elliot, and Bette Midler. 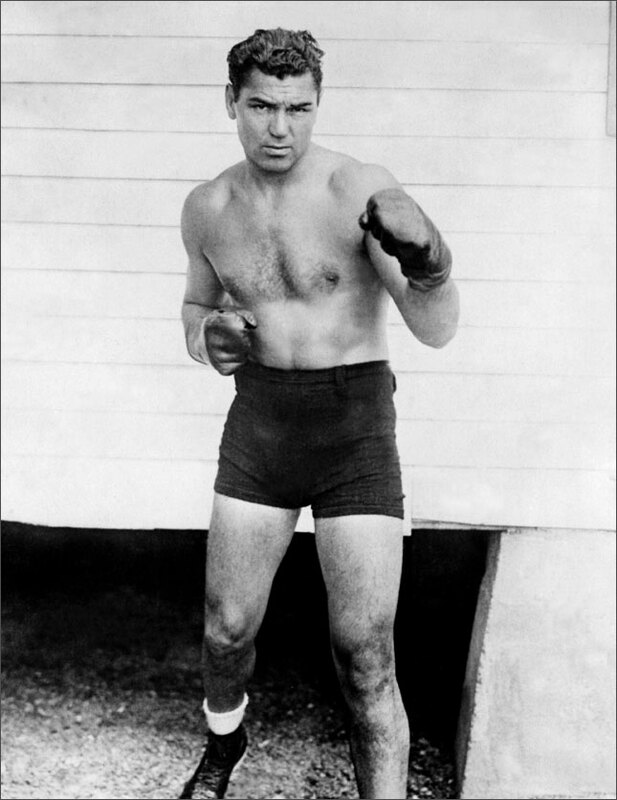 Jack Dempsey would win the World Heavyweight Championship title for most of the 1920s. Still, despite being a Mormon since he was 8, he married his 3 wives one at a time. Known in Life as: American professional boxer and cultural icon of the 1920s. Held World Heavyweight Championship from 1919 to 1926. His aggressive style and exceptional punching power made him one of the most popular boxers in history. Had many of his fights set financial and attendance records, including the first million dollar gate. Similarities: Well, he’s a famous boxer and his fights were frequently broadcasted on the radio. Differences: Born in Colorado and was baptized at 8 into the LDS church with his parents in 1903. Elementary school dropout and left home at 16. Frequently traveled underneath trains and slept in hobo camps in his early years. Started his career in barroom brawls saying, “I can’t sing and I can’t dance, but I can lick any SOB in the house.” Was a part time bodyguard for John Kearns who was the son of a US Senator. Lost the World Heavyweight Championship title in 1926 to Gene Tunney coining the phrase, “Honey, I forgot to duck.” Married 3 times and had at least 3 kids. Ultimate Fate: Retired from boxing in the 1930s and went on to other things like writing, training, and philanthropy. Assisted Joe Louis when the latter fell on hard financial times as well as made friends with former rivals Henry Wills and Gene Tunney. Was a close friend of famous Watergate judge John Sirica. Beat up a couple of muggers in 1971. Died of heart failure in New York in 1983 at 87. Influenced Bruce Lee. Frank Hague would be Jersey City’s mayor and political boss for the New Jersey Democratic Party for 30 years. Was known to be very corrupt and a chronic backstabber as well. Still, nice suit though. Known in Life as: Mayor of Jersey City from 1917-1947 and prominent Democratic politician and political boss. Had a widely known reputation for corruption and bossism and by 1947, enjoyed palatial homes, European vacations, and a private suite in the Plaza Hotel. Said to have amassed wealth of over $10 million at the time of his death though his city salary never exceeded $8,500 annually and he had no other legitimate income. Personal influence extended to national level, especially in federal patronage and Presidential campaigns. Similarities: Was well known as a chronic backstabber (even before the 1920s). Didn’t bat an eye at doing nefarious deeds with Democrats. Differences: Born to Irish immigrants. Expelled from school at 14 for poor attendance and unacceptable behavior. Worked as a blacksmith’s apprentice and tried to be a boxer. Won his first election at 20. Pride and joy was the Jersey City Medical Center. Had a wife and son. Was seen as a reformer who wanted to reshape the corrupt Jersey City police force and spearhead crackdowns of prostitution and narcotics trafficking. Also made improvements to the city’s fire department. Had very little tolerance for those who opposed him publically. Took a lot of kickbacks but was able to avoid state and federal investigations for years. Use of voter fraud was said to be the stuff of legend. Of course, I could only wonder what kind of booze Bill McCoy brought to the Eastern Seaboard. Let me see, Bacardi or Captain Morgan? Oh, wait, that’s rum and he transported his stash from the Bahamas. Known in Life as: American sea captain and rum runner smuggler during Prohibition. Smuggled whiskey from the Bahamas to the Eastern Seaboard. Similarities: Retired from bootlegging after a stint in jail in late 1923. Differences: Though seen drinking on the show on numerous occasions, he was actually a teetotaler. Viewed John Hancock as a role model and called himself, “an honest lawbreaker.” Never paid a cent for organized crime, politicians, and law enforcement for protection. Born in Syracuse and had a bricklayer father who served in the Union blockade during the American Civil War. Attended the Pennsylvania Nautical School on board the USS Saratoga and graduated first in his class. Served as mate and quarter master on various steamers. Had a reputation as a skilled yacht builder. Moved to Florida in 1900 and only went into the bootlegging business because he and his brother fell on hard financial times. Also smuggled liquor from other Caribbean islands and Canada. Ultimate Fate: After being arrested by the US Coast Guard, he spent 9 months in a New Jersey jail. 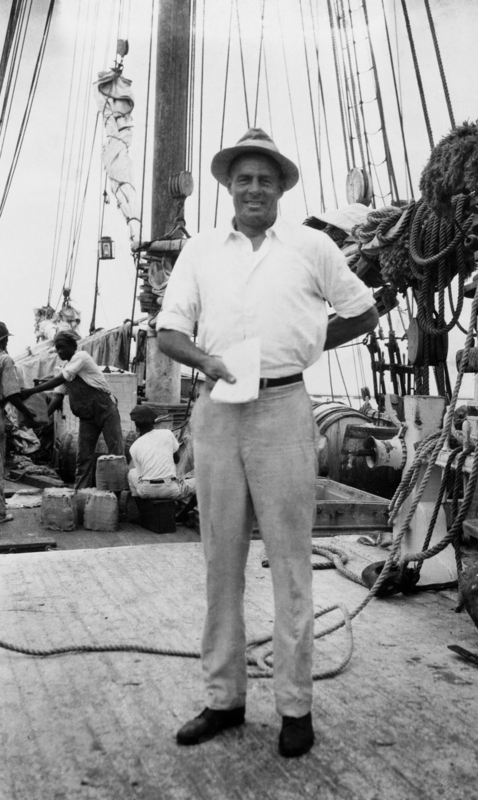 Quit bootlegging upon his release and spent the rest of his life investing in Florida real estate as well as build boats and travel down the coast. He died in 1948 at 71. Known in Life as: Six gangster brothers from Philadelphia during the 1920s and 1930s. Were notorious gunmen, numbers gamblers, narcotics dealers, and liquor bootleggers. Used an “Alky Cooking” supply network by providing a contingent row of house dwellers with home sills and paying them to sell saleable liquor. Criminal career was marked by frequent arrests and brutal violence. Character or Inspiration? Inspiration for the D’Alessio brothers, particularly Leo and Ignacius. Similarities: Well, both clans have brothers named Ignatius, Pius, Lucien, and Leo, who was considered the leader. Differences: Two of the brothers were named Willie and Teo and I’m not sure if they had a brother who was a dentist anywhere. May have possibly murdered Mickey Duffy. Held out for much longer than their TV counterparts (who all die by a half-faced war vet in the first season). Leo was considered the leader since he was the oldest. Pius was “the Brain.” Ignatius was always impeccably dressed. Lucian had the explosive temper. Willie was the quiet one. And Teo, “the Baby” made women swoon because of his matinee idol good looks. Ultimate Fate: Well, a lot of them didn’t come to good ends. 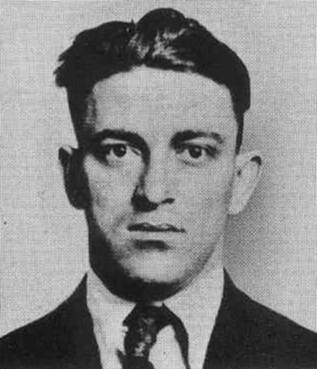 Leo was killed in 1925 after leaving a barbershop in an apparent retribution of the murder of rival Joseph Bruno. Pius and Willie were killed by enemy bullets in 1936 and 1939. By 1940, Teo was serving a sentence in drug trafficking and Ignatius was released by a US Supreme Court decision declaring the New Jersey “Gangster Law” unconstitutional and might’ve joined Lucian and their mother in fleeing to Detroit. Known in Life as: Sicilian born American gangster based in Florida and father of notorious mobster Santo Trafficante Jr. Character or Inspiration? Possible inspiration for Vincenzo Petrucelli yet he hasn’t actually appeared on the show, yet. Similarities: Both had a long time alliance and friendship with Masseria. Both were based in Florida. Differences: Married with 5 sons. Wasn’t Masseria’s cousin, though he did send Santo Jr. to New York to learn under other mobsters. Gained power as a mobster and ruled the Mafia in Tampa from the 1930s to his 1954 death. Was a well-respected boss with ties to Luciano and Thomas Lucchese. Ultimate Fate: Died in Tampa, Florida in 1954 at 68 and left his organization to his son who was respected under the New York bosses.